All winches are stripped down each year and stored . BAVARIA 3O for sale in France. Boatshed Cap d'Agde is pleased to offer this well maintained sail boat, built in 2006 by Bavaria. Very good example of this popular comfortable cruiser, not the cheapest on the market but with the level of equipment on board and general condition she is well worth a second look. Owners are keen to sell and look at all sensible offers as due to a knee injury the single handed sailing days are over. Three owners from new, current owners have had this boat for 5 years. She has been very well looked after and maintained and benefits from copper coat antifouling . This boat unusually has a trac television system for those that dont want to miss an episode. Easy handling with the bow thruster. For more information or organise a visit, please contact Graham your local broker at Boatshed Cap d'Agde. 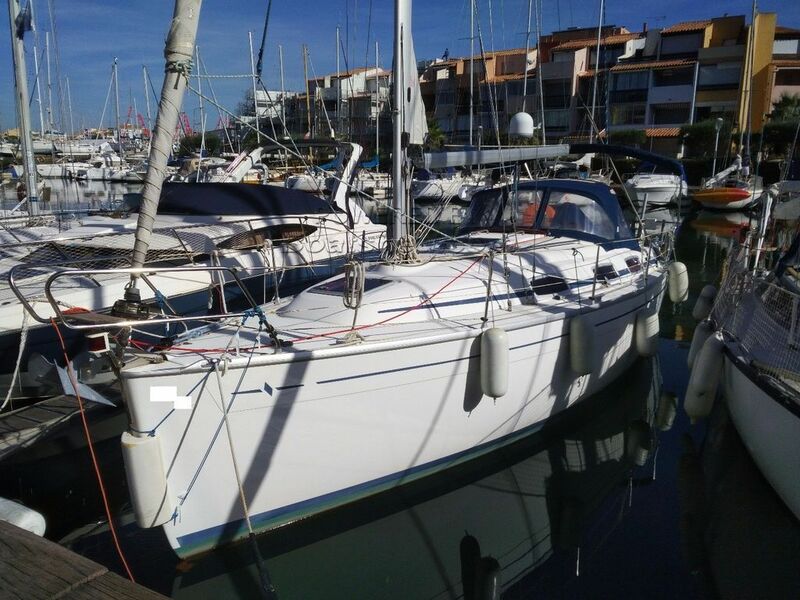 This Bavaria 30 3 Owners Since New has been personally photographed and viewed by a representative of Boatshed Cap d'Agde. Click here for contact details.